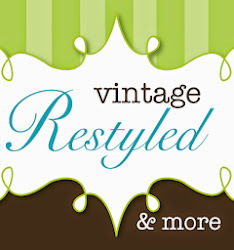 Vintage Restyled: Vintage Restyled is born! I am new to blogger and am happy to be here! While I am new to the format, I am a blogger! I have a blog, theothergaborsister.wordpress.com, that was started in mid-October 2010. I have loved entering this new world and have enjoyed the blogging experience. As I mentioned, I have a blog on wordpress. While wordpress has a lot to offer the computer savvy blogger, it is not that user friendly for a computer illiterate, blogging newbie. All the blogs I follow offer great advice and tips, yet they do not apply to wordpress. Also, the backgrounds and picture options are quite limited. 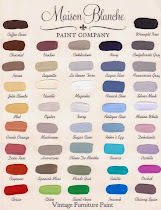 Tomorrow, February 3, 2011, I will open a booth in an antique mall. 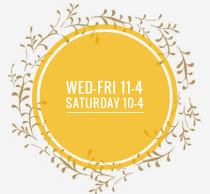 After much thought, Vintage Restyled was selected as the name of this new business. For simplicity purposes and streamlining the marketing, I have decided to use one name for everything. For this blog. For the retail space. For all things down the road. This transition will take me a while. I know blogger does not allow you to import from wordpress, so I am working on the best way to transfer information. I hope it is not manually! And as I mentioned, I am opening tomorrow, weather permittting! So this will take much time and attention over the next few days. If I do nothing else within the next 24 hours, I will have a spot to follow this blog. What that means is you receive email updates when I post on the blog. It is simple and worth it! All the blogs I follow I do so by email. Let's face it, we all have the best intentions to seek something out, but by following, you do not need to think about it!